Climate change is a global challenge that calls for concerted global action. Hong Kong has been working closely with the international community to cope with the impact of climate change and mitigate greenhouse gas emissions. The UNFCCC is an international treaty committing countries to take steps to reduce the threat of global climate change. Countries that have signed and ratified the UNFCCC agreed to work towards achieving an ultimate objective of stabilising "greenhouse gas concentrations in the atmosphere at a level that would prevent dangerous anthropogenic (human-induced) interference with the climate system". The Kyoto Protocol further commits industrialised countries to reduce their combined greenhouse gas emissions by at least 5% compared to 1990 levels by the period 2008-2012. A core principle underpinning the UNFCCC is the principle of "common but differentiated responsibilities" amongst developed and developing countries. This is because developing countries were not the main contributors to the greenhouse gas emissions during the industrialisation period that are believed to be causing today's climate change. China is a signatory of both the UNFCCC and the Kyoto Protocol and has notified the United Nations that the UNFCCC and the Kyoto Protocol apply to the Hong Kong Special Administrative Region from May 2003 onward. As a developing country, China (including Hong Kong SAR) is not required under the UNFCCC to meet specific emission targets. However, as a responsible member of the global village, we will try our best to reduce greenhouse gas emissions as far as practicable. In December 2015, Parties to the United Nations Framework Convention on Climate Change came together for Conference of the Parties 21 (COP 21) and adopted the Paris Agreement, which aims at holding the increase in the global average temperature to well below 2°C above pre-industrial levels and pursuing efforts to limit the temperature increase to 1.5°C. The Agreement would enter into force 30 days after at least 55 Parties accounting in total for at least an estimated 55 per cent of the total global greenhouse gas emissions have ratified the Agreement (The 55-55 threshold). On 22 April 2016 (Earth Day), 175 parties (including China) signed the Paris Agreement in the opening ceremony of signature in New York City. China ratified the Paris Agreement on 3 September 2016 and announced the Agreement’s application to the Hong Kong Special Administrative Region according to the Basic Law. Following the ratification by the European Union (EU) and many EU Member States in early October 2016, the 55-55 threshold was met. The Agreement entered into force on 4 November 2016. The Arrangements for the Implementation of CDM Projects in the Hong Kong Special Administrative Region set out the specific process and procedures for Hong Kong companies to collaborate with foreign institutions to conduct CDM projects in Hong Kong. These projects will help further reduce Hong Kong’s greenhouse gas emissions, support the sustainable development goal, and also contribute to achieving the ultimate objective of the United Nations Framework Convention on Climate Change to stabilise greenhouse gas concentrations in the atmosphere at a level that would prevent dangerous anthropogenic interference with the climate system. The Supplementary Notes on the Implementation of Projects under the Clean Development Mechanism (CDM) by Hong Kong enterprises on the Mainland was announced on 1 December 2009. Requirements and related application procedures for Hong Kong enterprises to develop CDM projects on the Mainland are clearly set out in the Supplementary Notes. 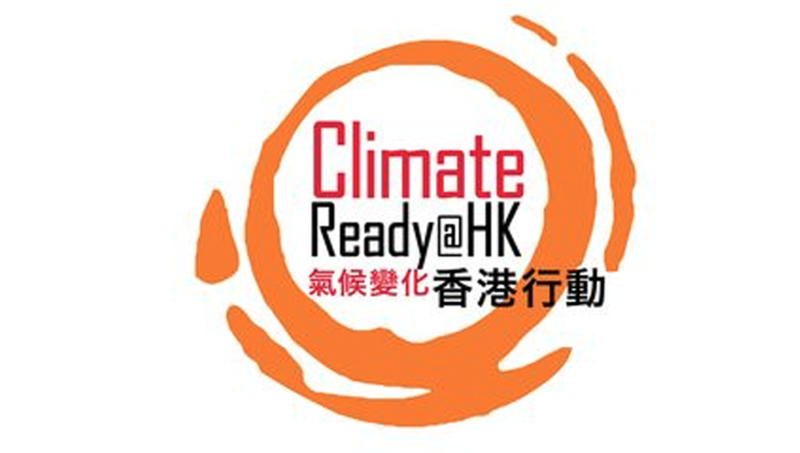 Hong Kong joined the C40 Cities Climate Leadership Group (C40) in October 2007. Formed in 2005, C40 aims to promote collaboration amongst cities in the world to reduce greenhouse gas emissions and enhance energy efficiency. London, Tokyo, New York, Sydney, Beijing and Shanghai are among the participating cities. The Government will work closely with the participating cities to combat climate change.